Nitrous oxide is an anesthetic used to decrease anxiety in the dentist office for patients who desire the support of calming sedation dentistry. It is a colorless, pleasant smelling gas that produces giddiness and a mild, pain-free state. Dentists administer nitrous oxide to enhance patient comfort and relieve anxiety for patients of all ages. Inhaling laughing gas is the most ideal option for the majority of patients. Throughout the procedure for dental work, the patient is aware of their surrounding at all times. Still the sedative is strong enough to help patients relax and calm their anxieties. The process of inhaling laughing gas is a quick one! Once you inhale the laughing gas, you brain is the first to experience it, followed by the rest of your body. Nobody is allergic to laughing gas – even if patients are suffering from diabetes, epilepsy, liver disease, or diabetes, they too can use nitrous oxide. If you’re wondering how exactly it works, the equipment used for delivering “happy gas” is very simple. Your dentist can easily create the desired mixture of N2O-O2 in the right proportions. Flow meters and pressure gauges allow the administrator to keep an eye on the flow of gases. 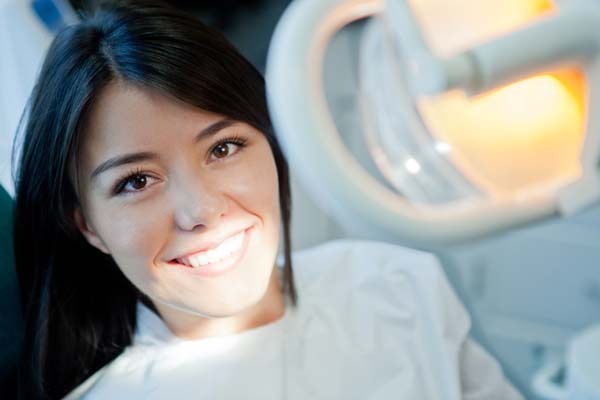 Your dentist can increase and decrease the level of sedation, which is a safety plus as well. After you’re settled in the dentist chair, you’ll inhale the laughing gas mixed with oxygen through a face mask. Your dentist will make sure he or she gives you the correct proportion of laughing gas to oxygen so don’t worry! One of two lines connects to the machine, while the other is attached to the relative analgesia machine. The desired N2O-O2 mix travels through a tube to which a nasal hood or cannula connects. Again all you have to do is inhale and exhale! You will begin to relax once the laughing gas hits your brain, and the sensation will cause you not to recognize pain. This way, both you and your dentist can be comfortable during the procedure. Some potential disadvantages to using nitrous oxide include nausea, sleepiness, lack of coordination, disorientation, and loss of appetite. Unlike a lot of other products, the effects of laughing gas are only a few minutes, so you’ll be able to drive yourself home following the visit and continue your daily activities as usual!